2017 THP Ultimate Club Testing with Titleist is upon us. A weekend with THP forum members and Titleist Golf at Reunion Resort in Orlando, FL. Just because you are not with us in person, does not mean you can’t follow along with all of the action. 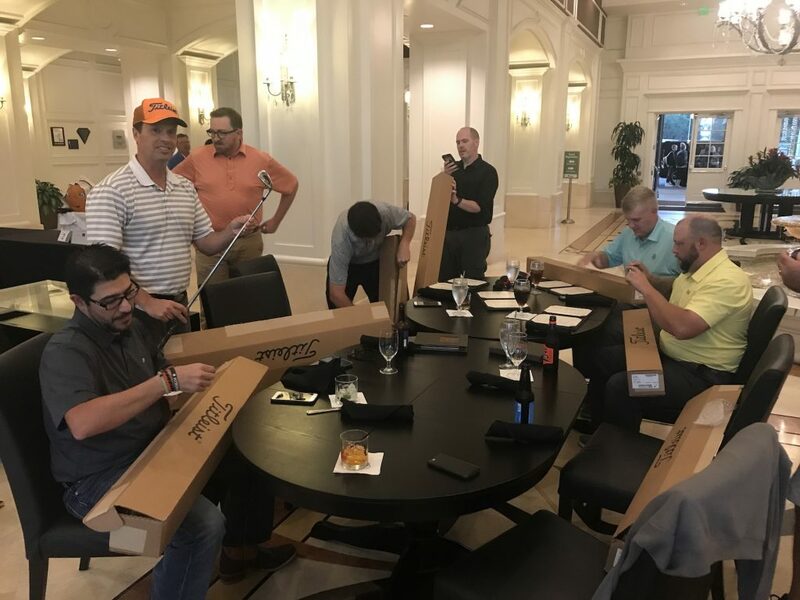 Each participant was fit for new irons prior to the event at a Titleist Thursday near them and upon arriving at the resort, were handed a brand new set of irons. Their job is to put them in play during multiple rounds at Reunion’s incredible golf courses and then report back on the THP Forum what their thoughts are. When they depart from Ultimate Club Testing, the irons are theirs to keep. You can follow along with all of their thoughts and even ask questions directly to the participants about the clubs right here on the THP Forum. What better way to find out more about the new lineup than from your peers that are testing them out. Golfers are armed with each iron pictured in the 1st photo, so you can get information on the entire AP lineup and more. Love everything about this! Huge thanks to THP and Titleist! Can’t wait to follow along! I wanted in this one. Hopefully it comes back next year. So glad that Titleist and THP are doing events together. Just ordered a set of AP2s. I’m extremely jealous of all you you guys out there! Enjoy the heck out of this event! This is very cool and awesome. I want to hear more about the AP3s and will be following along. Yep … you can barely see my hand on the right of the photo. Just in case you didn’t think I was there. So lucky to be part of this. I love THP and my new Titleist AP1 irons. Still loving the AP3’s! Had a blast at the event & can’t wait for the next one. Thanks again to THP & Titleist for putting this together. I hope the relationship grows stronger & we have more events in the future.